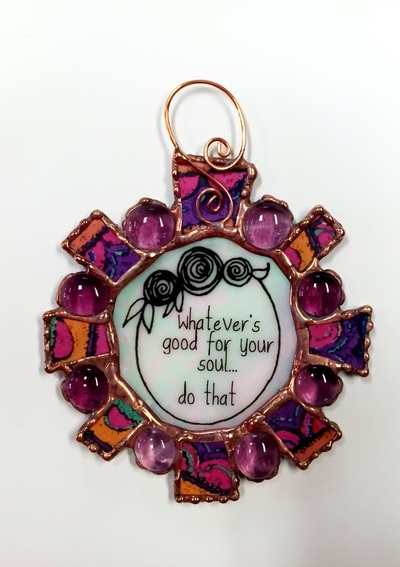 These are so much fun to make! 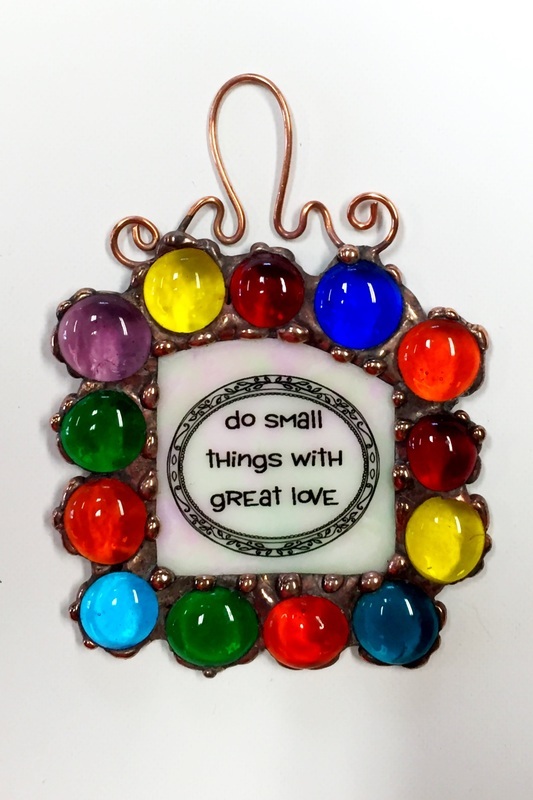 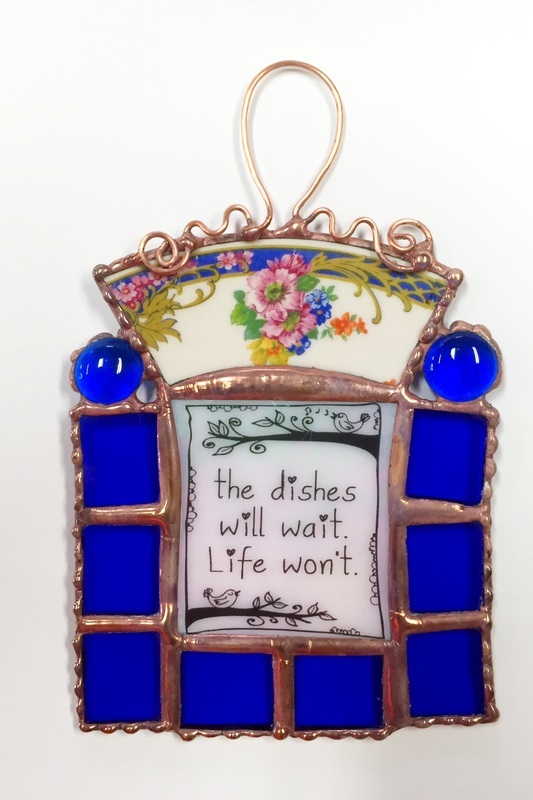 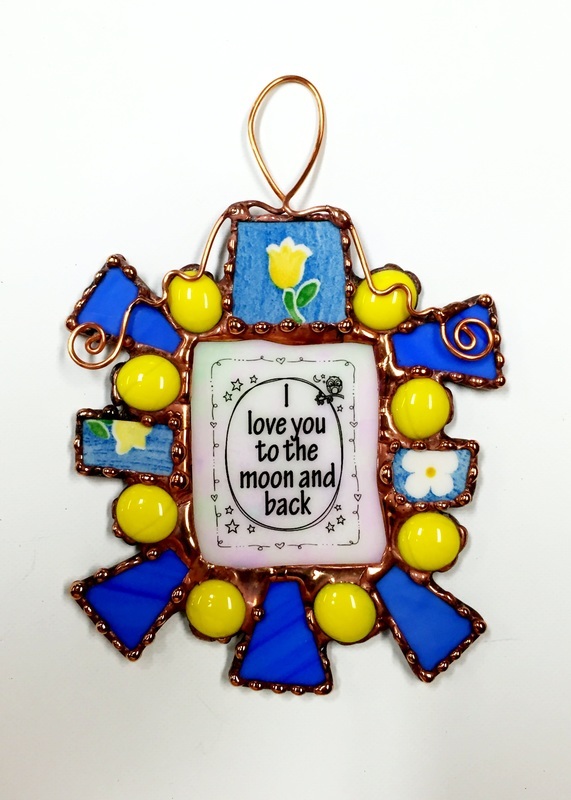 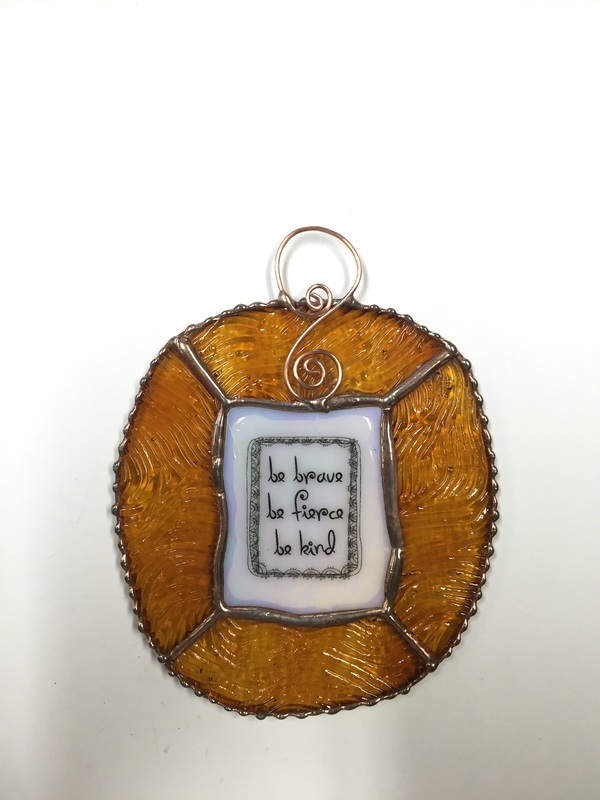 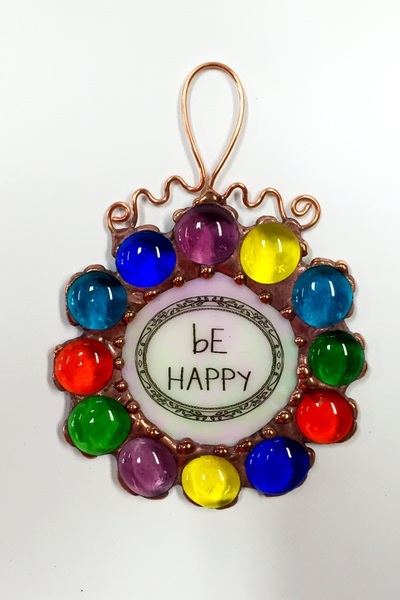 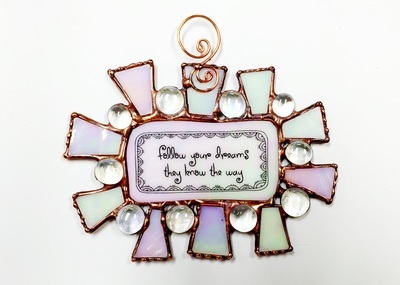 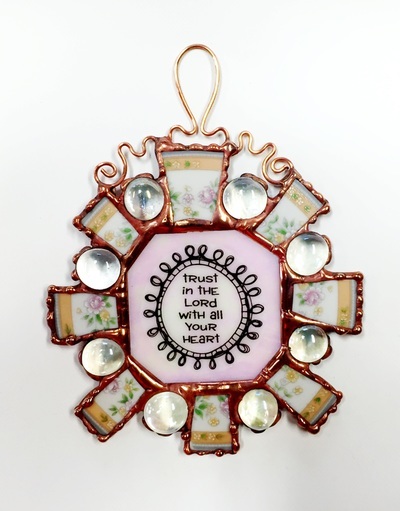 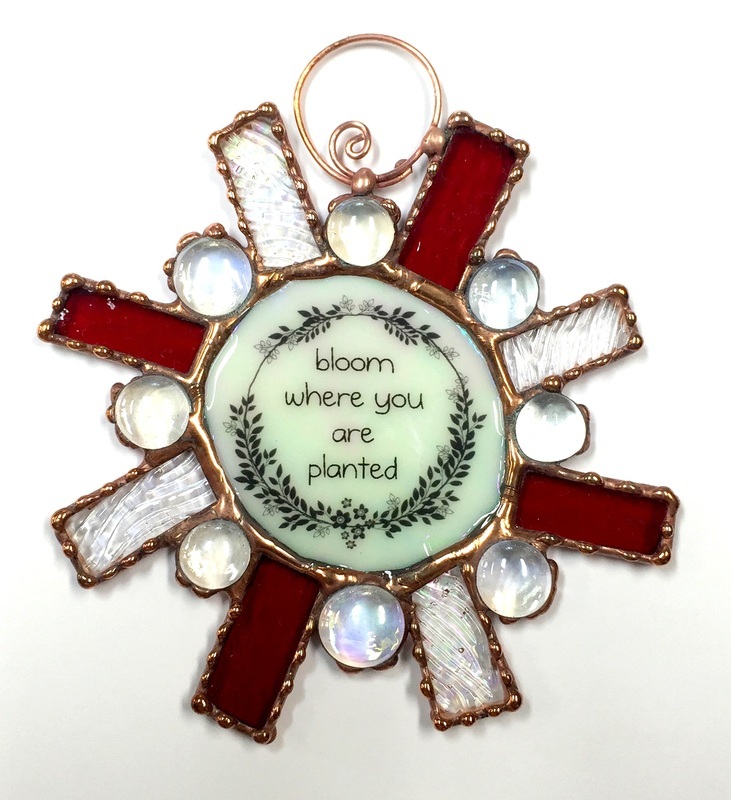 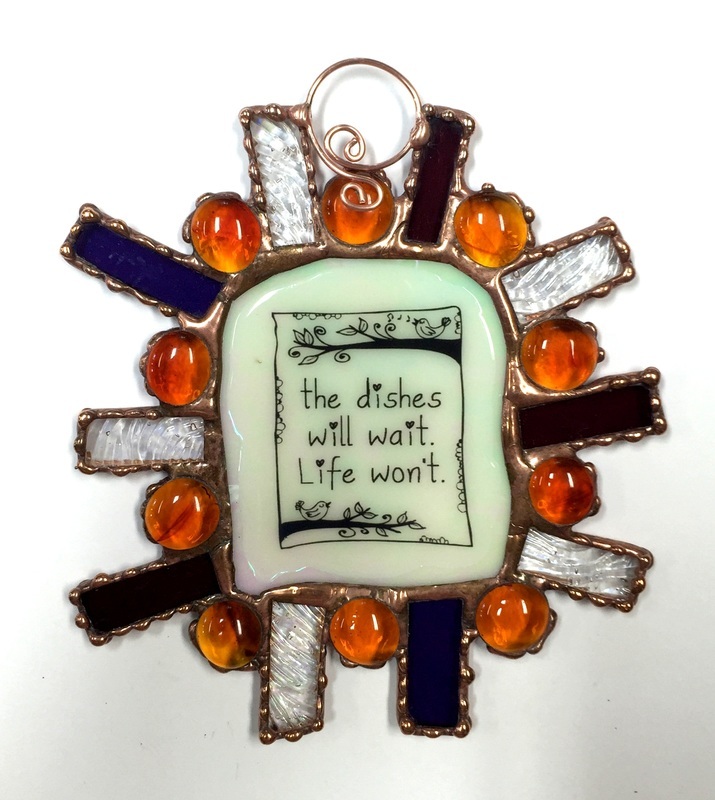 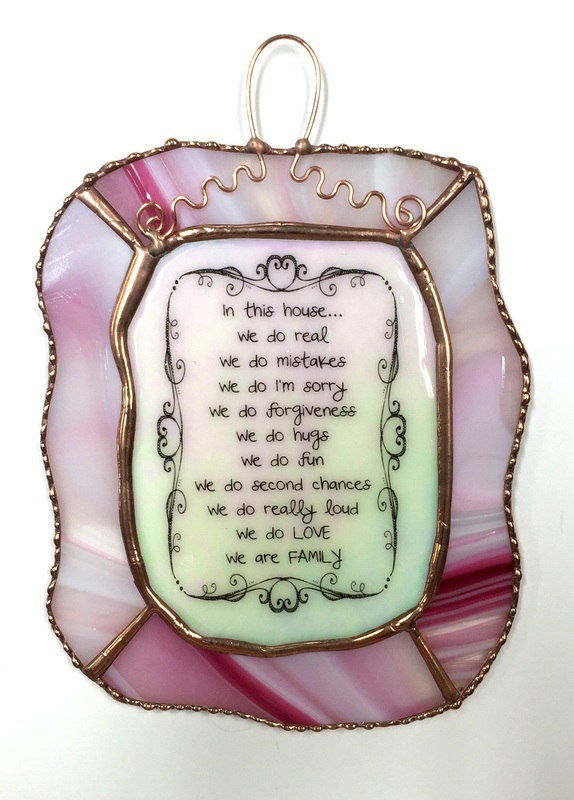 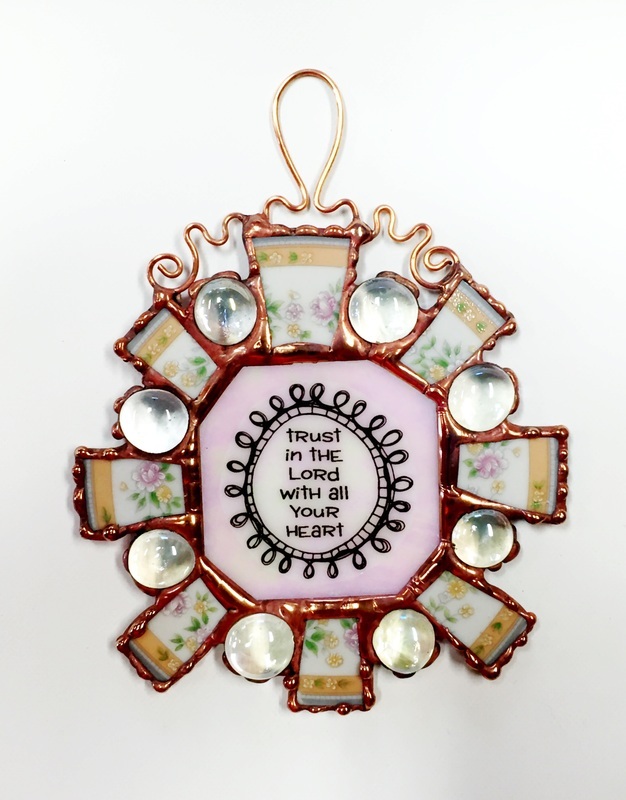 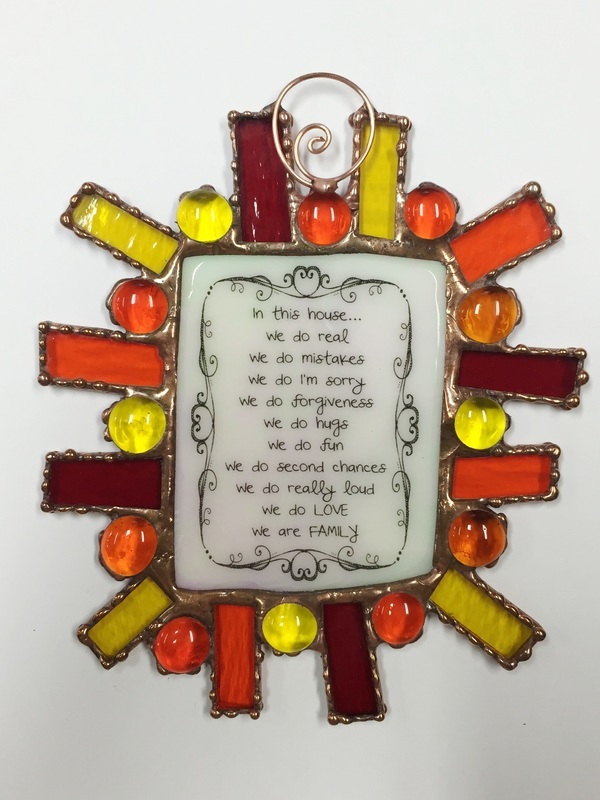 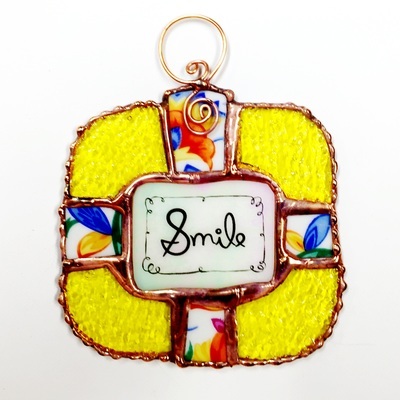 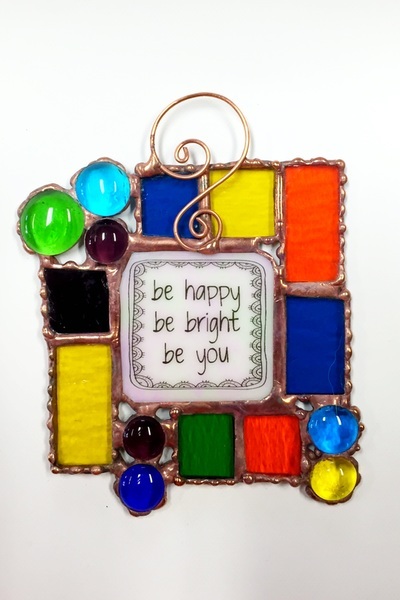 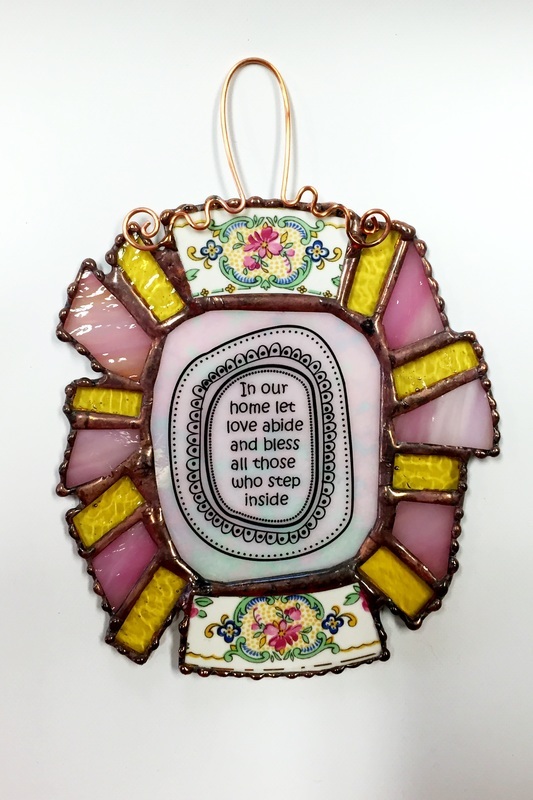 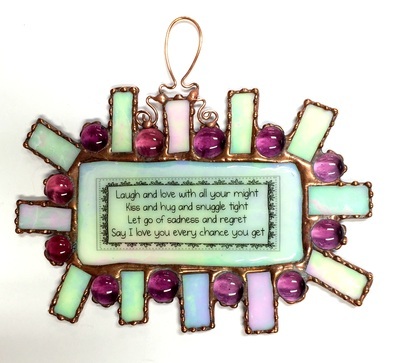 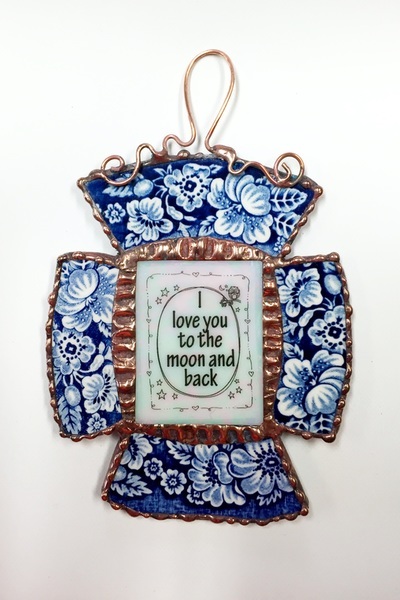 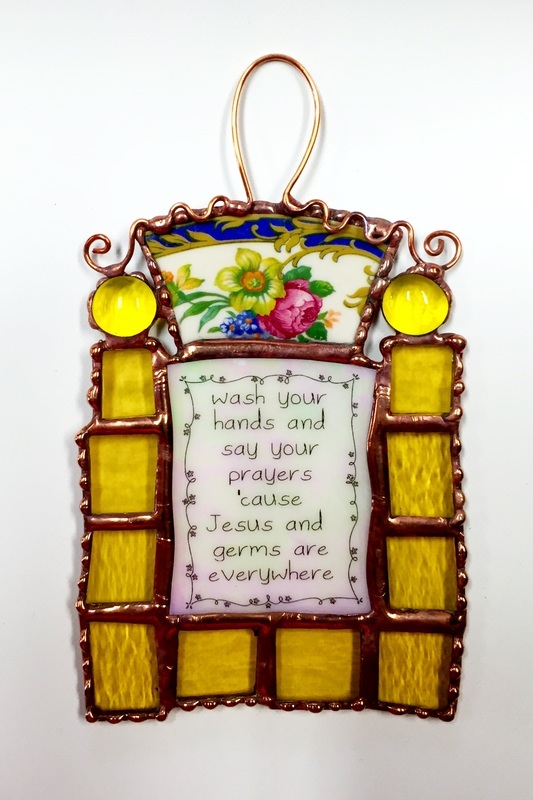 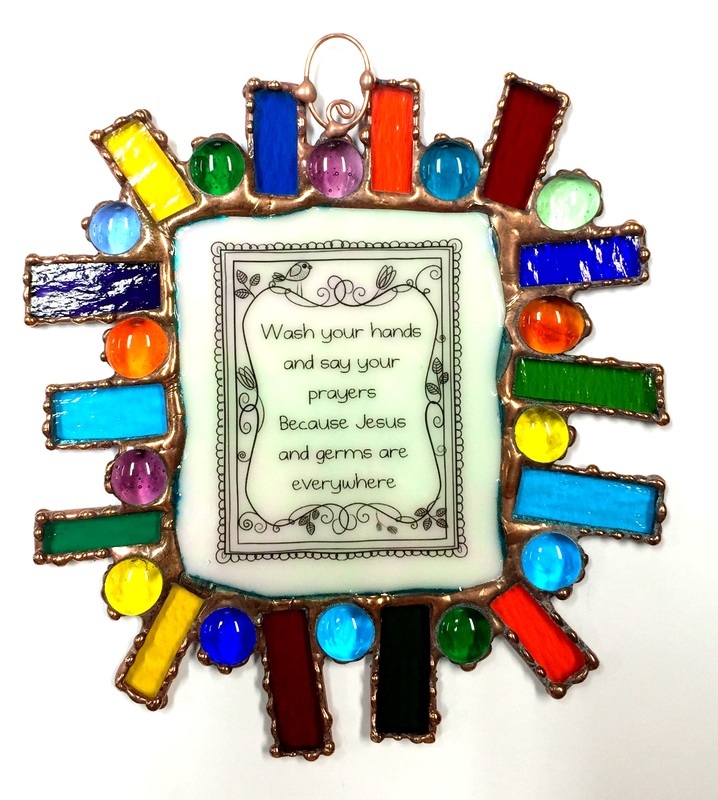 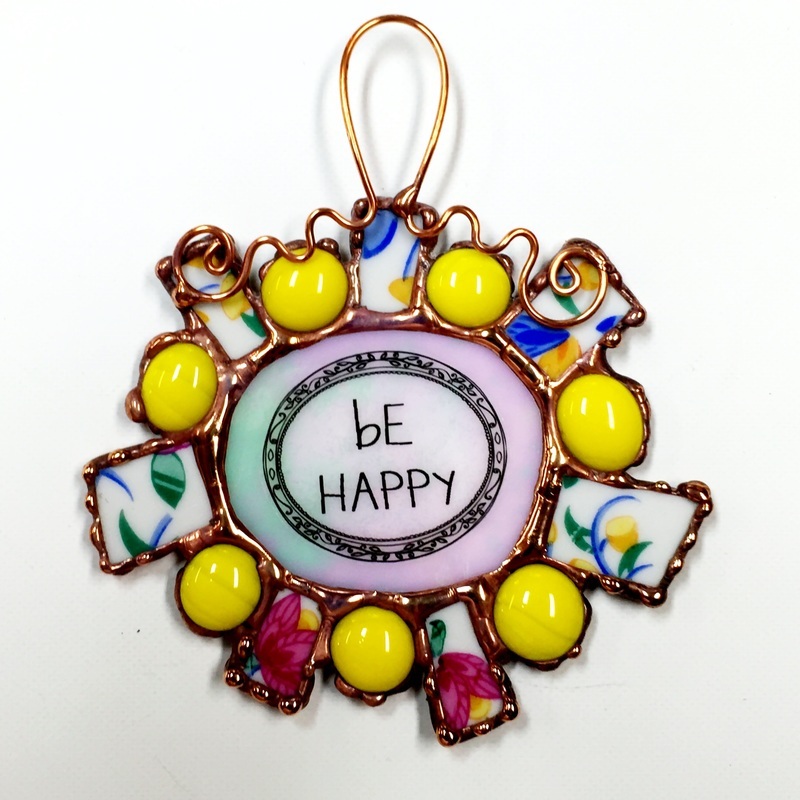 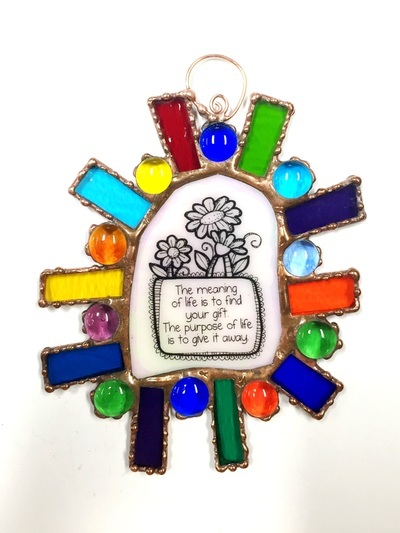 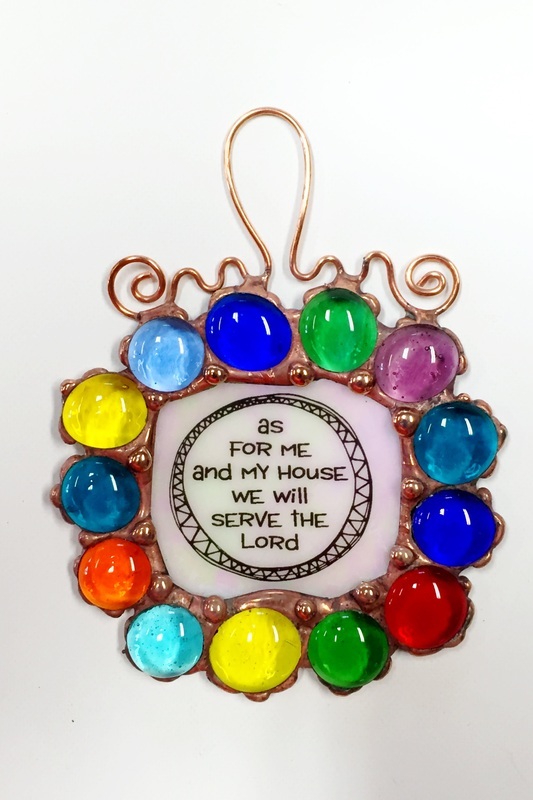 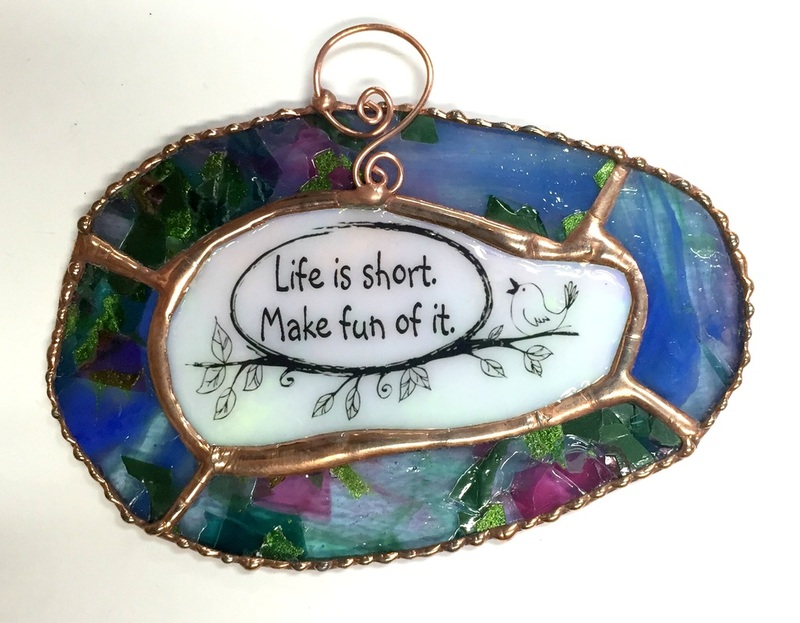 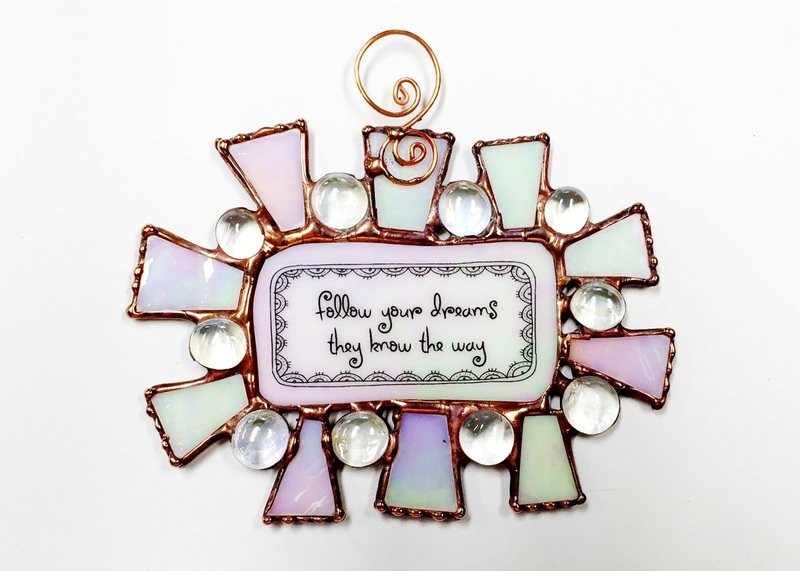 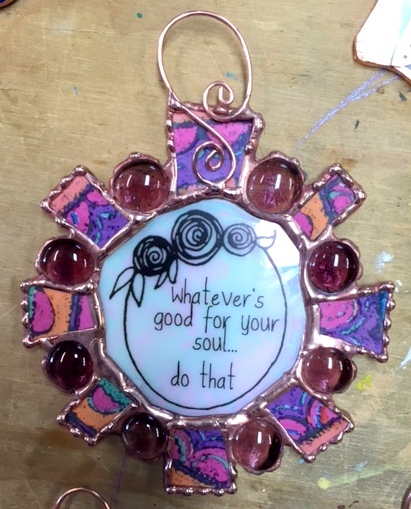 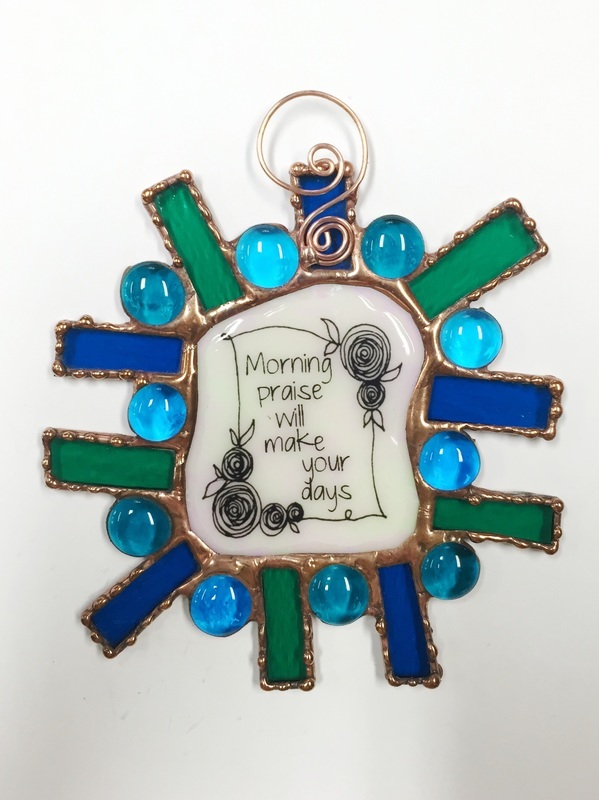 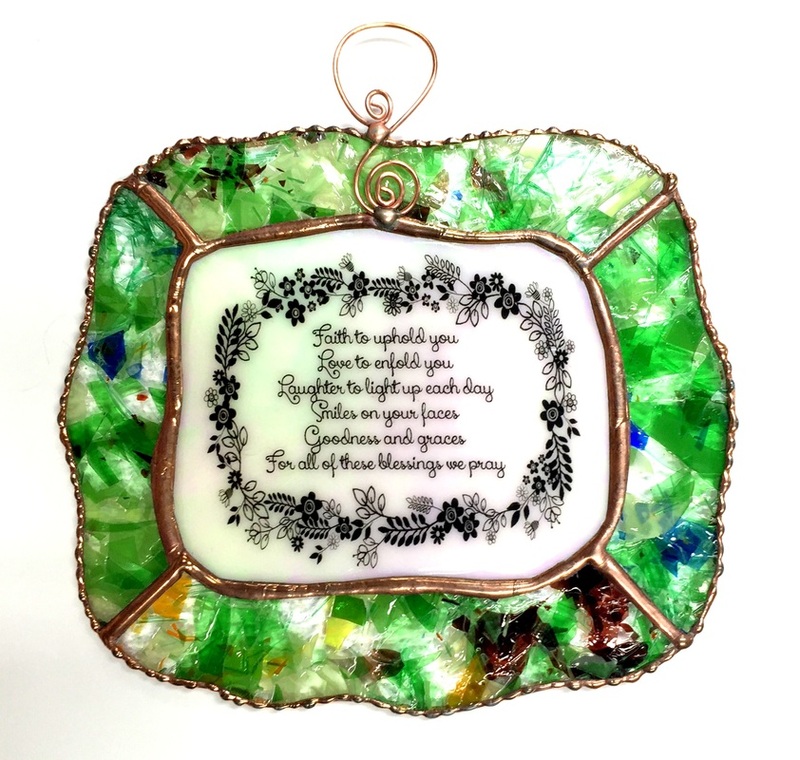 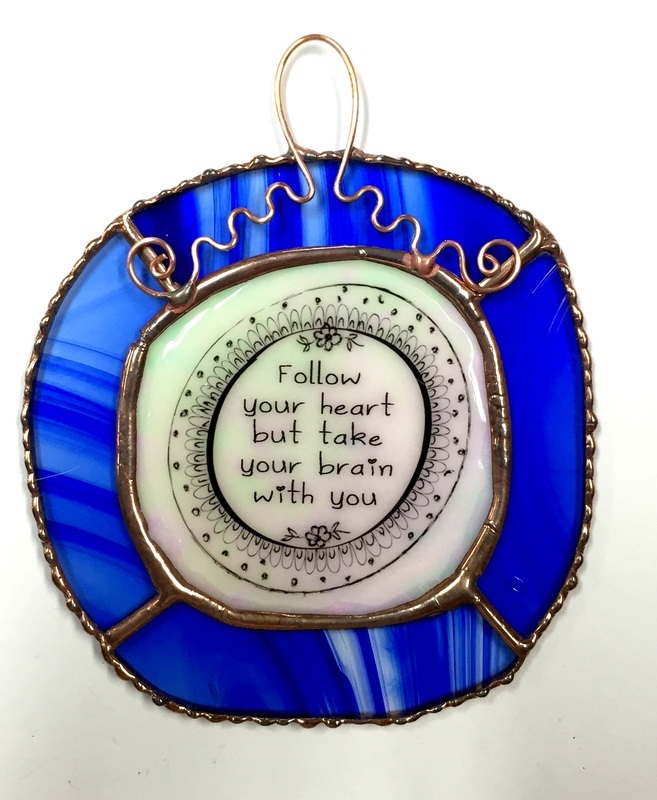 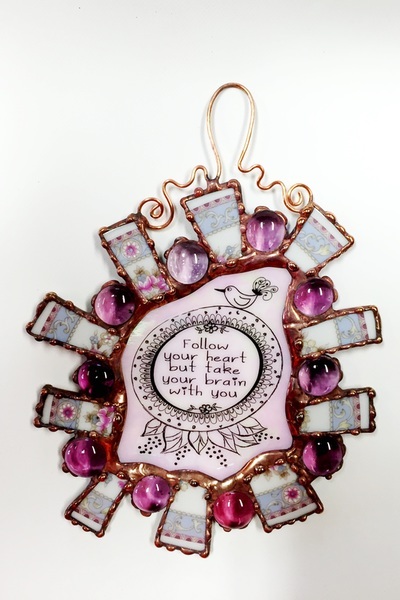 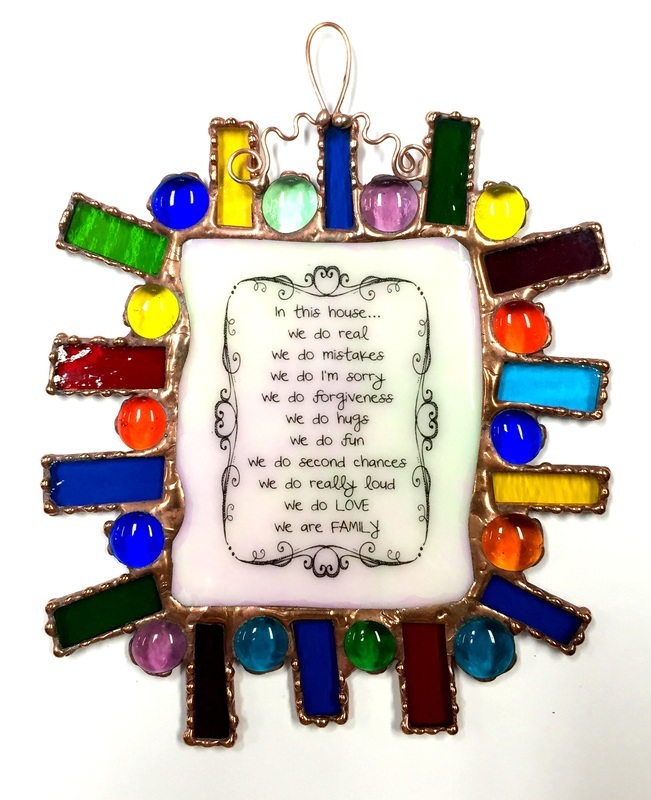 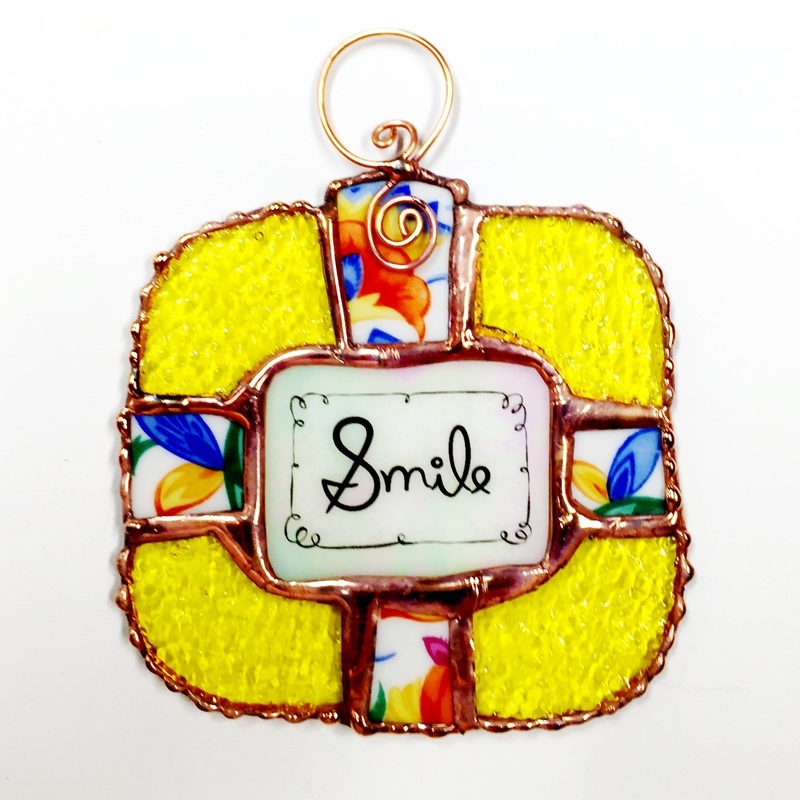 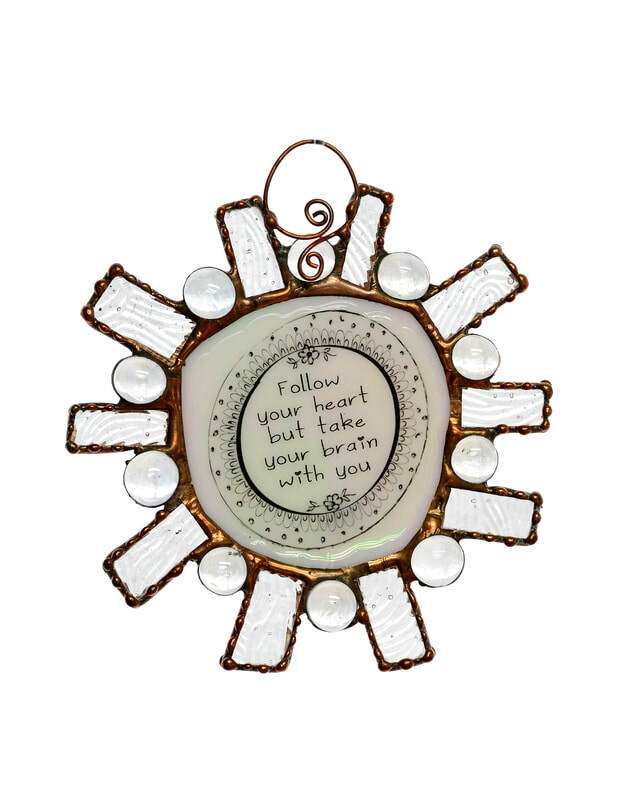 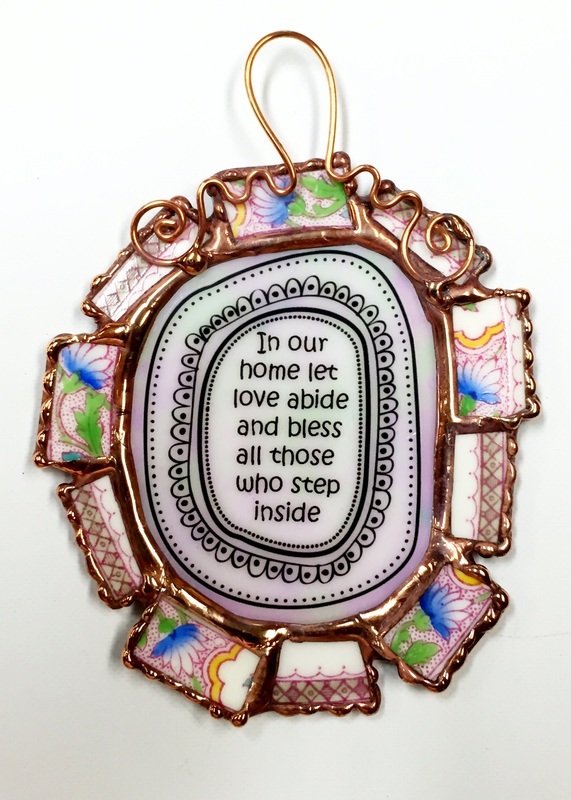 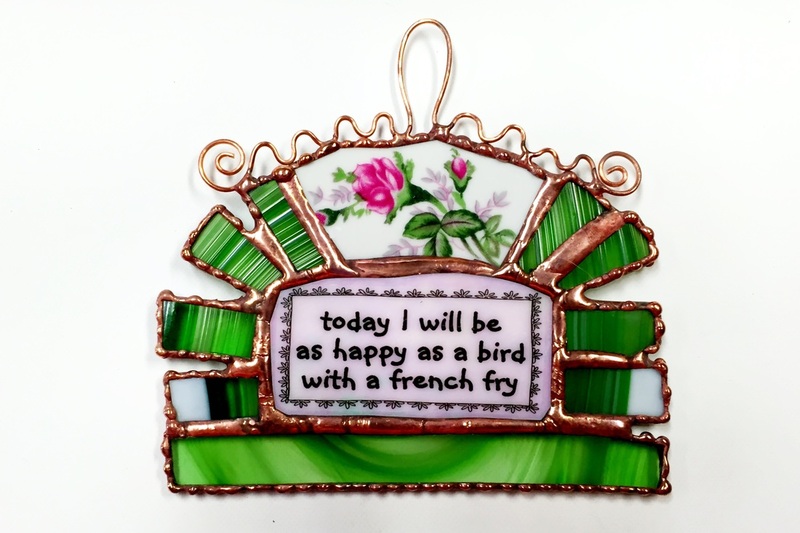 I use glass, gems, china, and copper wire to create these special, one of a kind inspirational sun catchers. I couldn't make two alike if I tried. 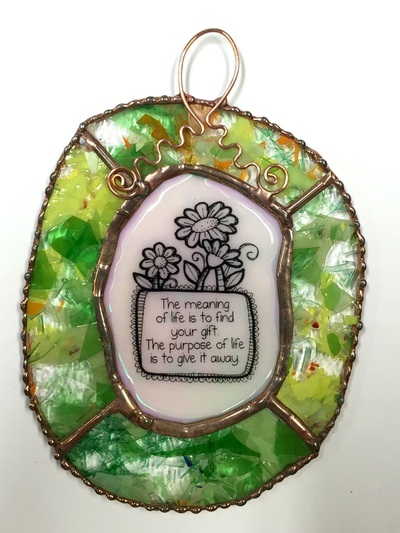 Ranging in price from $16 to $50, they make wonderful gifts. 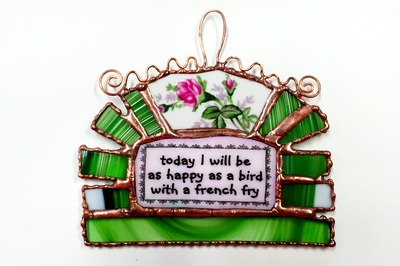 The messages can also be personalized.